workstyle.ch | Power Through Partnership. Heroic male partnerships are a staple business success story, but female partnerships rarely receive the same kind of attention. 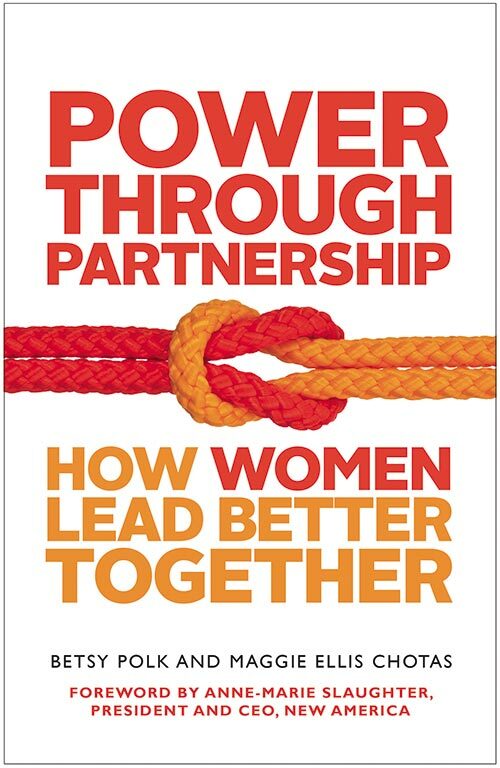 Power Through Partnership is a call for women to recognize and build on the inherent strengths that make them uniquely able to create successful trust-based professional relationships. ws Why are male partnership considered more successful? bp & mec Let’s set the record straight. Male partnerships are not more successful, just better known. Women are making amazing things happen together and yet they are far from being prominent role models for other women. From the co-founders of the venture capital firm Starvest Partners to the builders of Peotona – a company that’s building South Africa’s infrastructure – women in partnership are experiencing better ways of working. Their stories just haven’t been told. 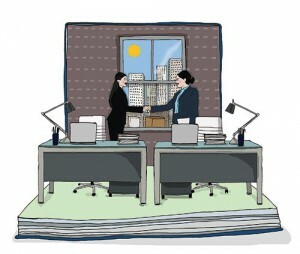 ws Is collaboration among women a way to business success? bp & mec Yes! We’ve found that when women work together in healthy, productive partnerships, they are able to define success for themselves and achieve it. For some women that means realizing financial success; for many others it’s about creating something that makes a difference. For others, it’s both. Whether partners are entrepreneurs are not, the mindset of having and sharing creative control is a hallmark of the success partners achieve together. ws What is the main purpose of this book? bp & mec We want partnership to be an accessible, viable solution for women to consider as they explore ways of working. In Lean In, Sheryl Sandberg implored women to step forward at work to make their voices and their presences known. We want partnership to be women’s Lean In solution. To do that, we need to shine the light on the female partner role models that are out there and the benefits they are achieving: the freedom to bring their full selves to work; the flexibility to balance work and life; the steady support that comes from working with a trusted ally; the confidence that stems from that support; and the happiness that results from it all. ws What should women who want to build a successful trust-based professional relationship do? bp & mec Find a partner! Potential partners are everywhere – she might be your best friend from childhood or a colleague at work, someone you’ve known your whole life or someone you haven’t even met yet. 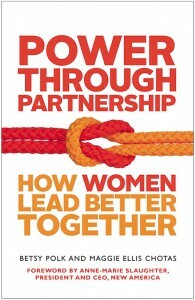 What matters is that you are equally prepared to share the heavy lifting it takes to make a partnership succeed.